Fun with Fairy Tell Fashions! Paper Trails has received a Carlson Craft excellence award for 2014! 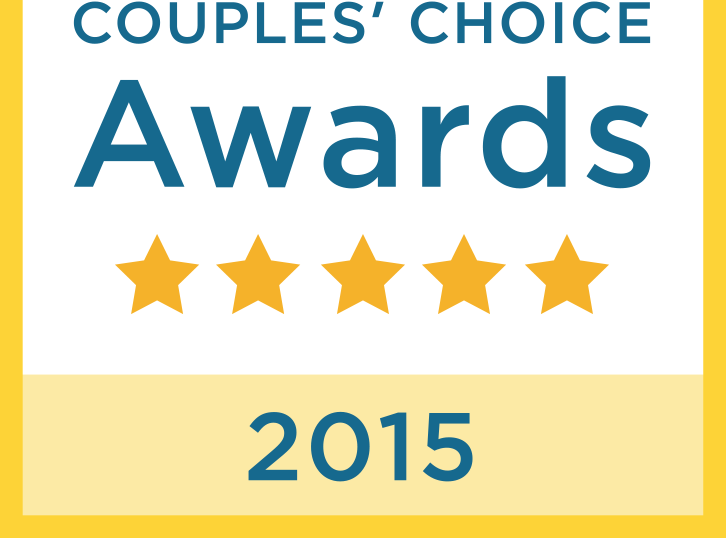 Thank you to our brides who voted for us! More Time to Shop at Paper Trails! 40% OFF Holiday Photo Cards and Invites! Paper Trails Receives 4.5 star rating on Yelp! We Kicked it with Kenny! I'd love to say thanks... but how? Paper Trails voted BEST in Cleveland Stationery! Recently we were lucky enough to be featured on the Fairy Tell Fashions blog! Lisa is a Cleveland-based fashion and lifestyle blogger and we loved having her in the shop! Check out some of our favorite shots below, and check out the rest on her site. These adorable Post Paper Goods cards come in a wide variety of colors and styles, and all celebrate Cleveland. It's easy to see why they're a best-seller! This Ohio tote is going to be SO perfect for days on the lake this summer! Something that we value at Paper Trails is connecting with the community and sharing with them our passion for what we do. Yesterday, our bridal consultant Melissa spent the morning with a class of fourth graders at Horace Mann Elementary in Lakewood. She taught a lesson on writing proper thank you notes-- something everyone needs to learn at some point in their lives! Especially these days, when everything is online and you can do just about anything without even speaking to another human, we think it's so important for young people to be learning to value connecting with each other through hand written notes and letters. Melissa first went over the points to include in a proper thank you note. Then students got to practice by writing their own thank you notes to people who had helped them get school supplies for the school year. They loved having their own thank yous to write and give to people! We absolutely love opportunities to connect with the community like this. If you or someone you know would like us to visit their class, please contact us! info@shoppapertrails.com or 440-333-0033. This past weekend was really successful! We started putting out our Halloween merchandise (where has 2015 gone?) and had a ton of visitors thanks to the Rocky River Fall Arts Festival! The festival was wonderful, even if it poured rain at the beginning and end... Our store was a warm and cozy hideout for people. We are so excited to be moving into fall in our store, and it seems like Ohio is following suit. We've had a couple really nice cool days and the leaves are turning. It's becoming our favorite season. Be sure to stop by the store to see our adorable Halloween stuff, and Thanksgiving merchandise before too long. We look forward to seeing you. We are super excited for an event happening in our area next weekend (September 12th.) The Rocky River Fall Arts festival is taking place from 10 am to 5 pm in the Old River Shopping Area--right outside our shop! We can't wait to see the art created by the participating local artists and get to meet some of them. This year there are 76 participating. We hope that you'll all come out and enjoy the festival. If you do, make sure you stop inside Paper Trails and say hi! On the day of the festival, Old Detroit Road and Depot Street will be closed. Join us July 11, 2015 for the annual Sunflower Wine Festival! Get ready to sample fine wines and craft beers and rock the night away at the 2015 Sunflower Wine Festival on July 11th from 4:00pm until 11:30pm on Old Detroit Road in Rocky River. The best part? Your purchase supports groundbreaking research into deadly children's glioma brain tumors. The Wine and Beer Gardens are open from 4:00pm - 9:00pm, with street cash bars and live music until 11:30pm. Live music from Austin Walkin Cane and the Boxcar Riders, Billy Likes Soda, and Sunset Strip, featuring Billy Morris. Delicious food choices from River Dog Cafe, Manna Food Truck, Dewey's Pizza and Salmon Daves! Wristbands are $45 presale/$50 at-event, and entitle purchaser to ten 2 oz. pours of wine or ten 4 oz. pours of craft beer (or combination thereof) between 4:00pm and 9:00pm. Those with wristbands will also receive $2 off each drink purchased at the street bars. VIP wristbands are $125 and entitle purchaser to access to exclusive VIP tent, with open bar and food, in addition to wine and beer gardens; Limited quantities sold. All wristbands are picked up the day of the event at the festival check-in. You must be 21 years of age to purchase wristbands and to enter the wine and beer gardens, and you must have a wristband to enter the gardens; Wristband purchases are non-transferrable. Final online pre-purchase price includes a mandatory processing fee. All sales final; No refunds; Festival takes place rain or shine. Each year, Carlson Craft, the nation's leading wholesale printing company, presents only a select few businesses with their prestigious excellence award for sales achievement and service to their customers. We want to thank Carlson Craft for this honor and to our brides for making it possible! After what seems like a lifetime of winter, we are FINALLY started to see the first hints of Spring! Warmer weather, sunnier days. We MUST be close, right? With bridal season right around the corner, we are taking deep cleansing breaths and brightening up the store with fun pastels for Easter and Mother's Day. We are also getting super excited for the National Stationery show in May. We always come back with exciting new and edgy product for the store. We hope you stop in soon and see our fun new displays to brighten your day! January is a wonderful time of year. We are all coming down from the holiday highs and settling back into reality. There is so much in the world of stationery to help us with those New Year's resolutions to get organized. Three Designing Women lead the pack with their super cute designs for address stamps. You can purchase the gift box here in our shop then choose your design at home online or we can help you with the whole process, whatever you choose! Such a quick and easy way to do your return address with your own unique flair. We offer so much more in the way of organization form Shinola journals, to Knock Knock stickies and list pads. Stop in today and get organized for 2015!